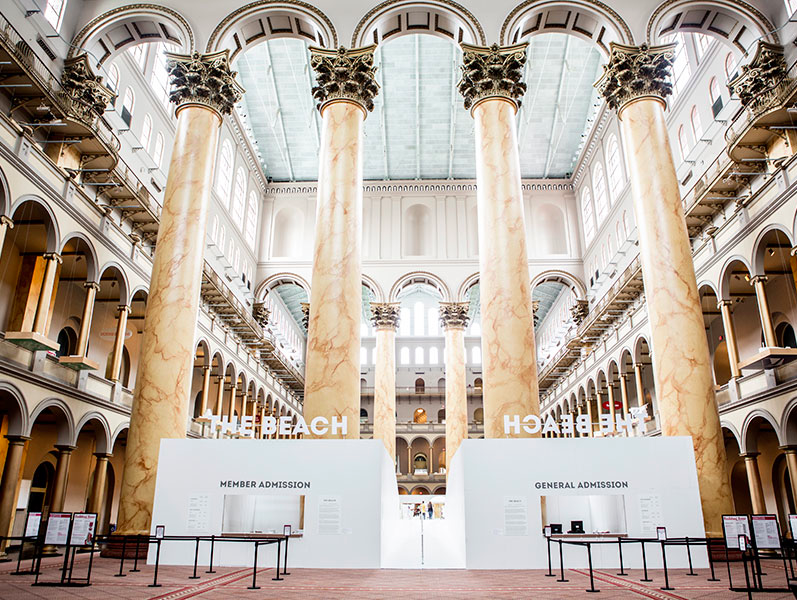 brandflakesforbreakfast: a day at "the beach"
a day at "the beach"
This summer the thought of going to the beach takes on a whole new meaning thanks to Snarkitecture. This Brooklyn based studio has created an interactive art installment at the National Building Museum in Washington DC that is meant to interpret a sunny day at the beach. 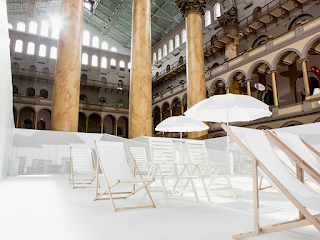 The monochromatic scene comes with 750,000 recyclable white plastic balls, white beach chairs and umbrellas and mirrors to reflect sunlight. 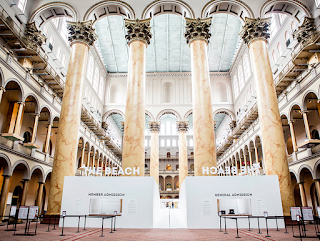 But unlike most art installments - this one welcomes as many fingerprints as possible. Some can call it art, sure. 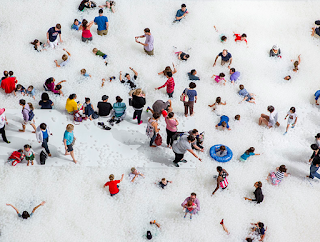 We call it an epic white ball pit.